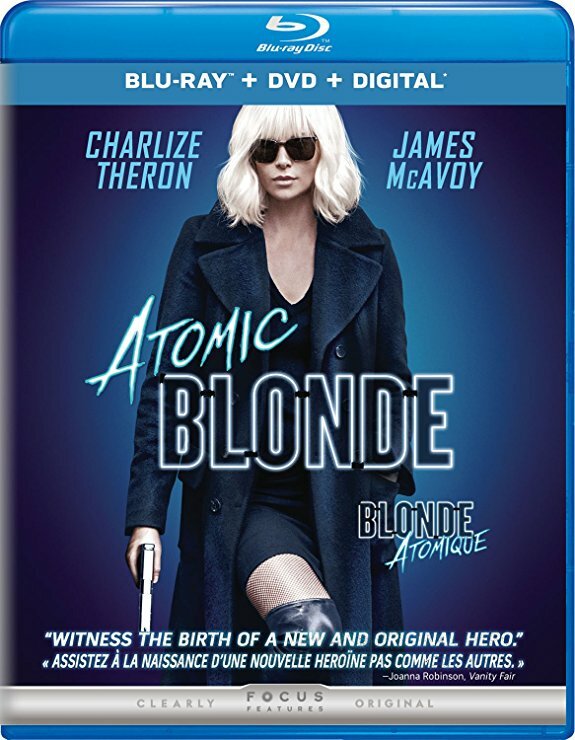 Check out what’s new on DVD today, including Charlize Theron’s spy thriller Atomic Blonde, murder mystery Wind River, Mariah Carey’s Christmas movie and more! Atomic Blonde - Top MI6 agent Lorraine Broughton (Charlize Theron) is sent to Berlin during the Cold War following the death of a fellow agent to track down a hidden list of all of the agents active in the Soviet Union, and uncover the identity of double agent Satchel who has been giving information to the KGB. Wind River - When he finds the body of a young Native American woman frozen in the wilderness of the Wind River Indian Reservation, U.S. Fish and Wildlife agent Cory Lambert (Jeremy Renner) learns she was the best friend of his daughter, who died mysteriously a few years earlier. The FBI sends in rookie agent Jane (Elizabeth Olsen) to help investigate. The two must work together to solve the mystery of this woman’s death. The Nut Job 2: Nutty by Nature - When their home in Liberty Park is threatened, Surly Squirrel (Will Arnett) and his group of misfit animals need to join forces to save their home and defeat the mayor so he can’t build a theme park. Amityville: The Awakening - Belle (Bella Thorne) and her mother (Jennifer Jason Leigh) move themselves, her comatose twin brother James (Cameron Monaghan) and her younger sister to a new house to save money to be able to afford to keep taking care of James. When strange things begin to happen and James makes a surprise recovery, Bella learns the house is actually the infamous Amityville house where a mass murder took place years ago. Brigsby Bear - James Pope (Kyle Mooney), 25, finds out that the people he thought were his parents are actually his kidnappers. They created a children's show, Brigsby Bear, to brainwash him. James was so enthralled with the show that he would blog about each episode he watched. As James struggles to adjust to life with his real family, he decides to create new episodes of the show himself and enlists his younger sister and a friend to help. Mariah Carey’s All I Want for Christmas is You - A little girl named Mariah (Breanna Yde) asks for a puppy every Christmas. She then finds out she needs a dog in order to join in on a charity fashion show with her friends. To her delight, her uncle asks Mariah's family to take care of his dog while he's out of town, and Mariah sees this as her chance to prove she can be a responsible dog owner, even when the dog turns out to be more rambunctious than she anticipated.